The Lunch Belle - Planning a visit to NYC? Consider me your virtual "Big Apple fairy-godmother." So, I'm here to squash all of the rumors about unfriendly New Yorkers and a crappy mass transit system. I will also help you weed-out as many sites/museums/restaurants/bars/parks/etc. that you *think* are worth visiting. You want my opinion? I'll give it to you straight. All you need to do is reach out and email me: Lindsay@TheLunchBelle.com. Help me help you locate exactly what it is that you're trying to find. These days, is there anything that you can't do online? 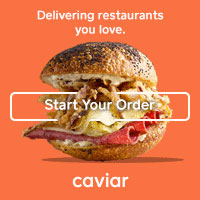 From ordering a sandwich for lunch, to making a dinner reservation at the city's hottest restaurant, virtually everything can be arranged sans telephone, all from the comfort of your home or office computer. Whether you're new to the city, planning a visit to NYC, or just don't have the time to research, call on me to help you decide where to make Saturday evening's dinner reservation, your sister's 10th anniversary dinner party, or where to order today's lunch from, etc. I know these neighborhoods quite well, and I'm confident that I can point you in the right direction. *Before we proceed: if you don't have an account with either of the sites below, sign up now - they're both free! Trust me, it will make your life so much easier.